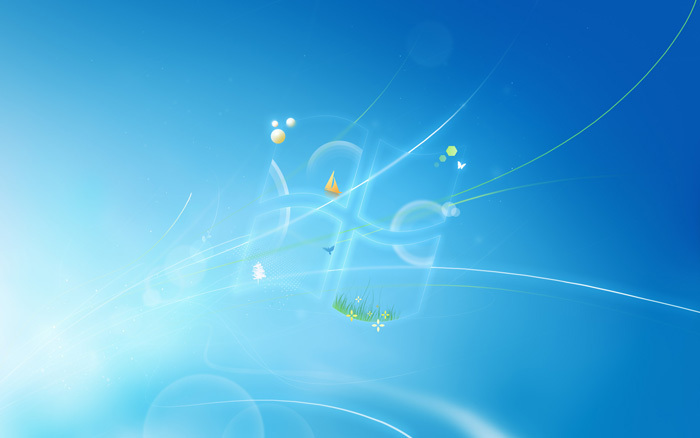 Chuck Anderson, creator of Windows 7's laid-back, cerulean-cool default wallpaper and login screen, showed me the evolution of his work — including Easter eggs, avoiding Mac tropes and why flaming skulls didn't make the final design. 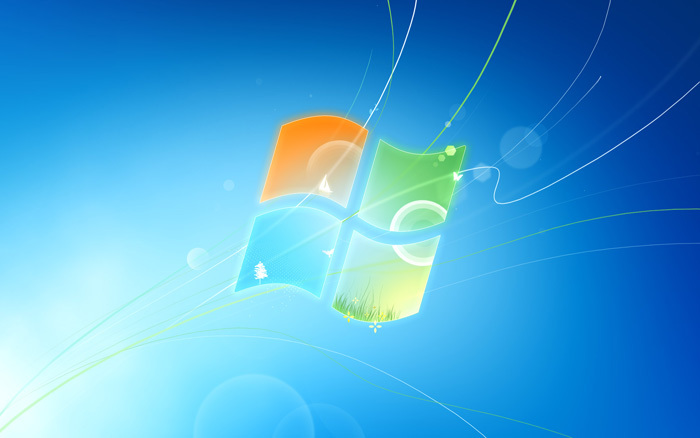 Today, at only 24, he's achieved a new level of stardom: His designs for Windows 7 will literally be seen by hundreds of millions of people over the lifespan of the OS. 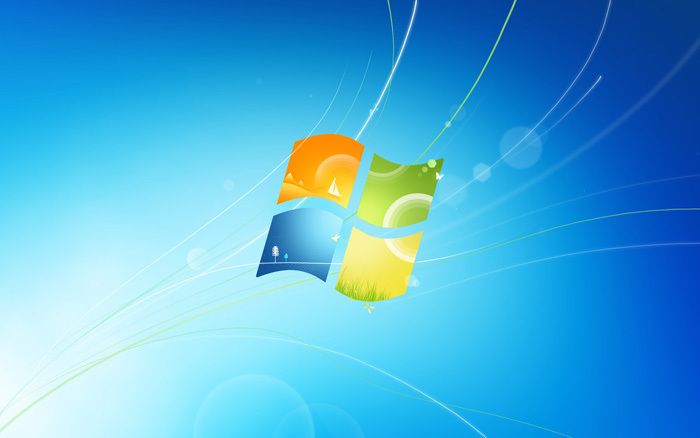 Microsoft hunted him down, and it was definitely a good call; Windows 7 is the best-looking Windows OS ever, and its style is reflected in the cool screens designed by Chuck. Since he's such an independent guy, I was curious to hear how he managed to collaborate with Microsoft, the tech corporation most likely to have the word "monolithic" as an epithet. Chuck says the actual design team he worked with was quite small and surprisingly open to his ideas. The first thing they showed him back in December 2008 were those glorious Dr-Seuss-as-read-by-Hunter-S.-Thompson wallpapers, so it was clear right off the bat that censorship wouldn't really be a problem. The two pieces took about four months, start to finish. 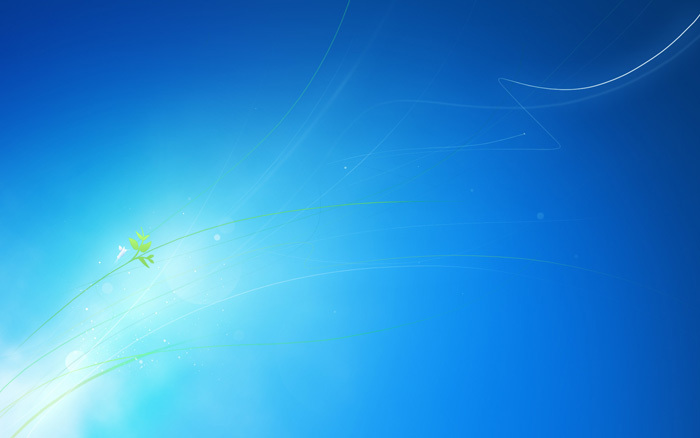 Chuck started with a pencil and paper, and moved on to Photoshop for the Windows 7 sheen, but the two pieces retain that sketchy feel — in fact, all the individual threads on the login screen were hand-drawn with a Wacom tablet. This first gallery shows the stages of the default login screen, the first image to be completed. 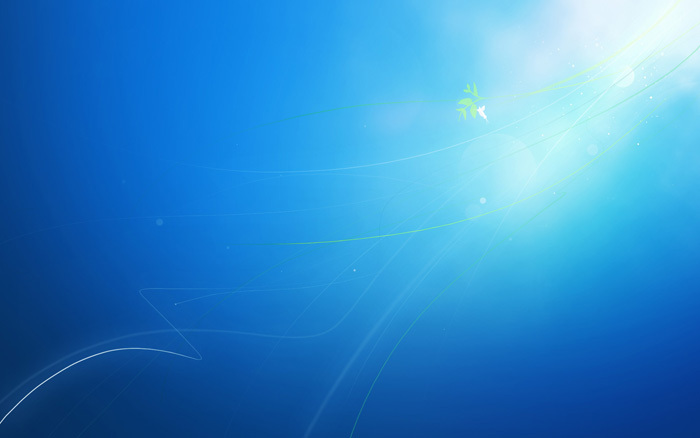 Later came the default desktop wallpaper and Windows 7's physical packaging, which both have the login screen as their aesthetic jumping-off point. This is where it begins — click on the first thumbnail to read Chuck's own words about how his vision evolved. "The point of the login screen is to provide a nice, simple, elegant environment that the login buttons and information can sit on top of. 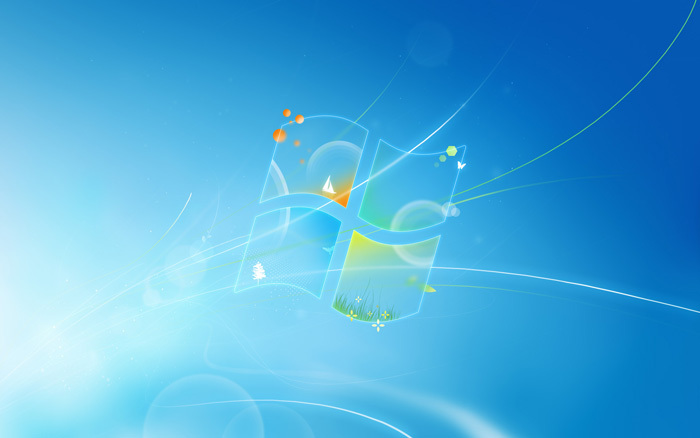 The aesthetic of Windows 7 is all about light, energy, transparency and quickness. All things that, to me, implied combining natural elements with futuristic/digital style. "[This is]the first iteration I did. Unexpected colours, simplicity and fluidity...but not quite on brand and, as with any first round, in need of further exploration." 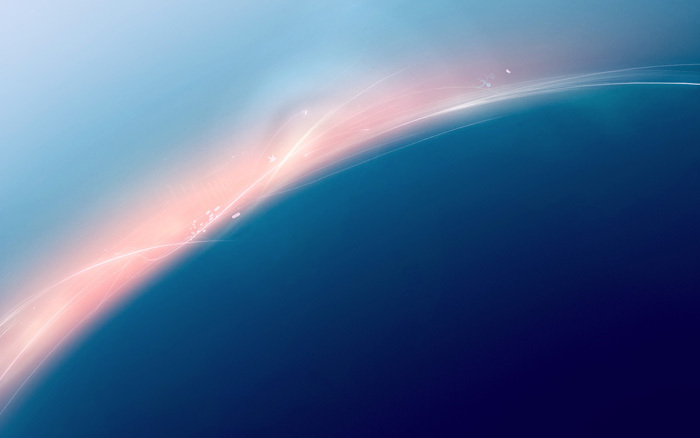 "Sort of a horizon, astronaut's eye-view...but considering Mac OS X's astral aesthetic, it was pretty quickly realised that anything 'space' wasn't really the way to go. Still though, experimenting with lines, form and surprising colours." "In my opinion, this version was the breakthrough in the aesthetic that shaped everything moving forward. Simple, thin lines, a lot of atmosphere and light, and the cool blue/green/white colour scheme. I think the problem here was that it was feeling underwater, which didn't make a lot of sense with the bird, but the idea was there." "I flipped the composition and started trying out different amounts of lines, line weights, playing around with a few more colours, different densities in the atmospheric haze, more detail, less detail, etc. The consensus among everybody was that simpler was better, which ultimately led to the final design." "For whatever reason, I horizontally flipped the composition to present an identical but mirrored version of the last one, and everybody was into the way the design originated from the bottom right versus the bottom left. Can't really put my finger on why, it just felt right, as cliché as that might sound. Everything was fine-tuned and after several back-and-forths, this was finally given the thumbs up." As it turns out, there are a few repetitions of the number seven in the login screen, but weirdly enough, that little Easter egg started out as an accident. Once Chuck and Microsoft noticed that there were seven white strands on the bottom left, they started repeating the number: There are also seven leaves, seven branches and seven flower petals in the yellow quadrant of the Windows logo. 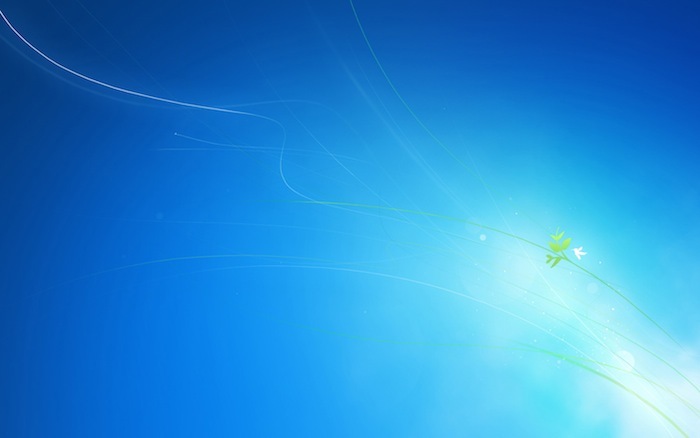 The default Windows 7 desktop is one of my favourites; usually the very first thing I do with a new computer is replace whatever wallpaper comes with it (Apple is a particular offender here — I hate that cheeseball space motif) and yet I happily left this one on my latest computer. 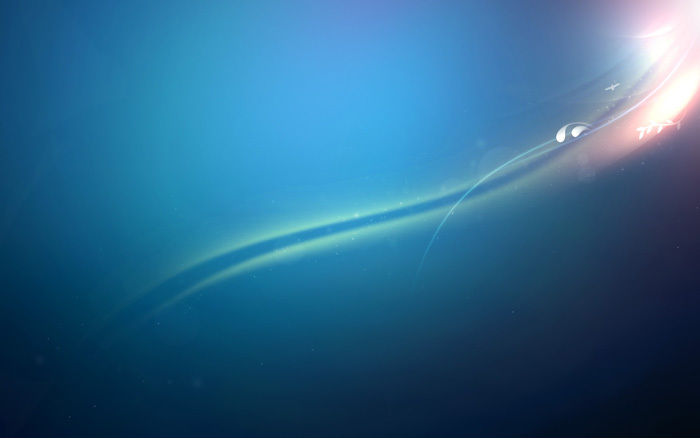 "The desktop was obviously heavily influenced by the look of the login screen. Microsoft had made the decision to make the Windows logo the centrepiece of the default desktop. But you always worry about the classic complaint you hear from designers about clients: 'Make the logo bigger!' In response to this first desktop experiment, Microsoft told me straight up, 'That's too big. Tone it down.' Awesome. I agreed. The colours were also feeling a bit washed out here and there were too many places for your eyes to wander." "This was a total experiment of making the logo incredibly subtle by making it feel more transparent and like glass. 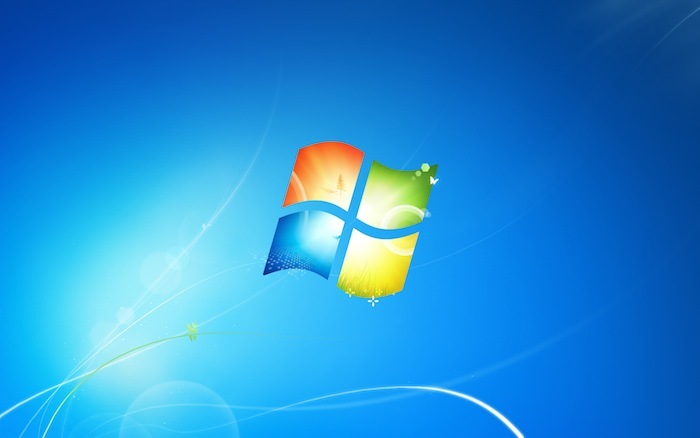 But it had problems: If you're Microsoft and you decide to put the logo in the middle of your default desktop for your new OS, you've gotta do it shamelessly and confidently. This wasn't feeling either. It was feeling like a way to 'sneak' the logo in there and that was simply not the point." "There was a lot of enthusiasm for this idea initially, but when you saw it smaller or on a screen farther away, the logo started to disappear." "Even smaller logo in this one! 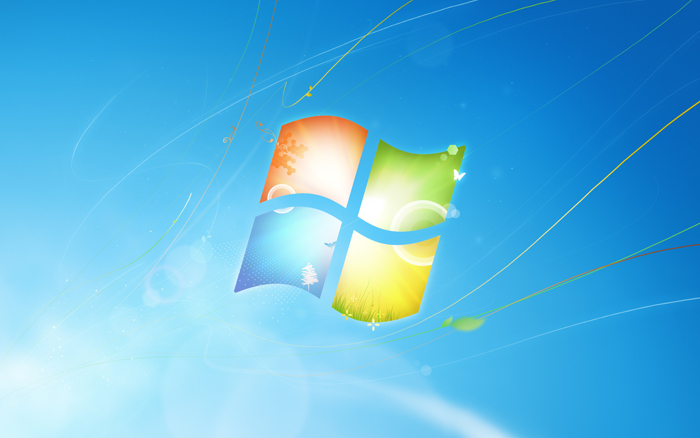 About these elements going on in the Microsoft window logo: There was no specific, set-in-stone instruction from Microsoft on what they wanted in those quadrants. I played around with lots of different ideas. We brainstormed in the very first meeting about all sorts of objects and things that could be within and emanating from the window. In the end, the objects absolutely had to be simple and they had to be universally recognisable. Elements from nature, basic shapes and hints of digital iconography were the best fits. I really tried to push through the idea of using a few flaming skulls and some of the demons from the cover of Slayer's South of Heaven but for whatever reason nobody was into it. Whatever." "The logo finally arrives at its proper (and smallest yet) size. This felt right, we just had to go through a lot of options to realise it. But there are still a few too many loose strands, no balance on the top right and the colours in the window are a bit harsh." And the final result: "Some slight balance added to the top right of the composition — appropriately enough there were now just seven total light strands (and, for what it's worth, seven green leaves on the little branch), and everything was in the right place. This made the rounds and had to get OK'd by approximately eight bazillion people and was finally approved. I was ecstatic — Microsoft was really into it and so was I." 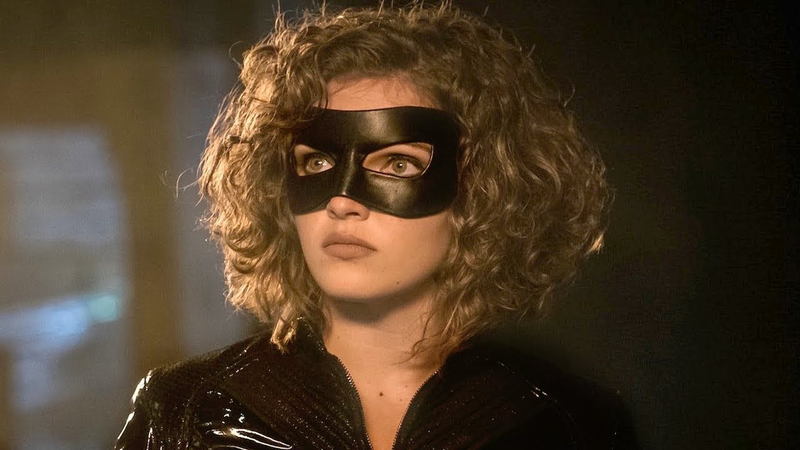 Microsoft sought out this young, independent, mixed media digital artist rather than going through traditional channels, and it resulted in a fresh new look that couldn't have come from another source. It's credit to them, as is the walkthrough itself. You'd never see Apple showing, say, the pieces that mysteriously got tossed aside in favour of that clip-art snow leopard on their latest OS X packaging, would you? Thanks to Chuck and to Microsoft for showing us their rejects. Note: Speaking of rejects, you might notice that all the screens are capped at 700 pixels in width. It's because Microsoft isn't dumb: They don't want shots they took a pass on becoming the wallpaper of netbooks and PCs all over. Sorry guys, we tried.